The Education & Community Programs department is asking a handful of talented writers and artistic interpreters from distinct perspectives to serve as Citizen Journalists and correspondents for the Living Classroom, with a focus on generating community-centric documentation of the event. We sought individuals from distinct perspectives — people interested and grounded in communities facing the issues at hand. Sonja Kuftinec, Associate Professor of Theatre at the University of Minnesota, and an organizer for the Imagining America conference happening in Minneapolis September 22-24, provided recommendations, with final selection by Associate Director of Public & Interpretive Programs Susy Bielak and Open Field Coordinator Scott Artley. Like many artists working on this project, this is a volunteer position. Their objective is to participate in the event on August 18th, then write blog posts documenting their experiences in the context of their own work. They are encouraged to share their insights with the communities to which they belong. Join us for Living Classroom and then check back on this blog to see how these Citizen Journalists interpret the day. Jonathan Blaseg is interested in the intersection of Landscape, Urban Planning, Architecture and Art and their role in creating spaces that have the ability to create change within our society. He received a Bachelor of Arts in Physics from St. John’s University and a Masters in Landscape Architecture from the University of Minnesota where he investigated design methods – from the physical to digital – and means of representation. Currently he is involved with several design competitions, freelances as a rendering artist, practices at a Landscape Architecture firm, and is working with the Minneapolis Parks Foundation to organize a design conference in early 2012. The conference will focus on North Minneapolis in line with the Foundation’s mission to enhance the quality of life for the community by visioning, investing in, and advocating for the Minneapolis park system and other open green spaces. 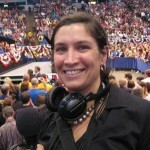 Allison Herrera has been a reporter for KFAI Fresh Air Community radio for the last eight years. She’s had the privilege of interviewing three Nobel peace prize winners, including Iranian lawyer Shirin Ebadi. She’s covered arts, culture, politics and environmental issues all while keeping an element of calm. In the upcoming year, she’ll be working on a radio documentary about the Dakota Conflict of 1862. 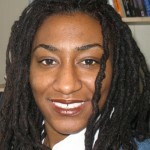 Zenzele Isoke studies U.S. Black women’s political activism in urban spaces. She is specifically interested in how issues of space and identity influence how social capital is created and deployed by African American women in their efforts to challenge social marginality in U.S. cities. Using intersectionality as a central analytic tool and the stories that contemporary Black women activists tell about “politics” as her primary evidence, her research examines both the practical and discursive roles that black women activists play in hip hop politics, Black LGBTQ politics, and other contemporary social movements in the U.S.
Andrea Jenkins is an Award winning poet and writer. In 2010, Andrea received the Verve Grant for Spoken Word Artists and The Naked Stages Grant for Emerging Performance Artists. She is a Givens Foundation Fellow, and worked with Amiri Baraka and J. Otis Powell! 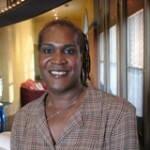 She has won the Loft Mentor Series in 2002 and the Napa Valley Writers Conference scholarship in 2003. Andrea earned her Masters of Science, Community Economic Development –Southern New Hampshire University, Manchester, New Hampshire, a Certificate, University of St. Thomas, Community Leadership Institute, and Bachelors of Science, Human Services / Interpersonal Communications – Metropolitan State University and has a MFA in Creative Writing at Hamline University. Andrea has self-published a chapbook of poems called “tributaries: poems celebrating black history.” Her upcoming self-published collection will be called Pieces of a Scream: New and Selected Poems. 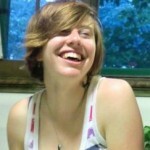 She currently is co-curator of the Queer Voices Reading Series at Intermedia Arts. Andrea works as a Senior Policy Aide to City Councilmember Elizabeth Glidden and lives in Minneapolis. 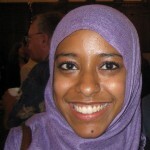 Lolla Mohammed Nur is a 2011-12 Imagining America fellow and a senior at the University of Minnesota – Twin Cities. She majors in journalism and political science, with a minor in African American and African studies and focusing on international political economy and development. She just completed a social media internship with Voice of America Middle East, and has written for the Minnesota Daily and the Twin Cities Daily Planet. Lolla is interested in theories and discourses around development in the “third world,” particularly around recent “land grabs” in the Horn of Africa. She is also interested in media representations of people of color, Muslims, Africa and the Middle East, as well as how dominant US media shape discourses around race and racism. Most recently, Lolla has been fascinated by the role of social media in enhancing political movements, as well as the effect of social media to provide an equally-accessible platform for diverse voices and communities typically underrepresented in dominant media. She is particularly interested in how social media can be used as a tool by racially, culturally, ethnically, and religiously underrepresented communities for fair representation and empowerment. Last spring, she was a media organizer with the Whose University campaign, which worked to address issues of equal access to higher education for low-income students and students of color. Julia Nekessa Opoti has reported extensively on Somali and immigrant issues in the Twin Cities, and also edits/publishes Kenya Imagine. She served as editor of Mshale, an immigrant African newspaper, and now works as the Community Outreach Coordinator for E-Democracy’s Cedar-Riverside neighborhood forum. 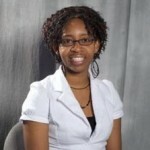 Opoti is the producer and host of Reflections of New Minnesotans on AM950. 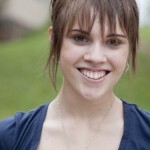 Amanda Spencer is a student photographer studying at Inver Hills Community College working on an Associate of Fine Arts. She plans to transfer to the U of M–Twin Cities in the fall of 2012 to receive a Bachelor of Fine Arts with emphasis on photography. Her current project is titled East Phillips and is a collection of photographs and interviews from the inner city neighborhood. You can check out the project at her websiteand sign up to receive updates about the upcoming book and exhibition at the Phillips Garden. 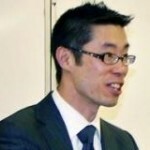 Kinh T. Vu is originally from Saigon, Vietnam. 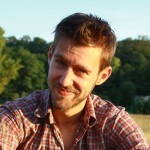 He is a doctoral student in music education at the University of Minnesota – Twin Cities. Vu earned a bachelor of music degree in music education from Westminster College, New Wilmington, Pennsylvania, and a master of music degree in wind conducting from Penn State University, University Park, Pennsylvania. As a 2011-12 Imagining America Publicly Active Graduate Education Fellow, his current research centers on Hmong hip-hop and youth arts culture in Saint Paul, Minnesota, and focuses on how youth arts culture, particularly hip-hop artists, are encouraged to share their voices with one another in their city to confront issues associated with social justice. Photo courtesy Los Angeles Times March 24, 2010.